Your expired AED battery can be used to create a “Re-Cell” or recycled battery that is manufactured using FDA approved GREEN TECHNOLOGY? What are recycled AED battery packs and why do I need to know about them? 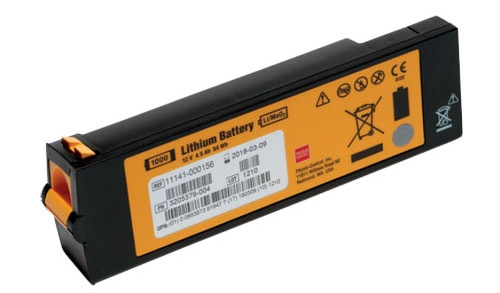 1.Lithium cells which are common and used in many products. Battery has an identical warranty to OEM (Original Equipment Manufacturer). FDA approved as a Class III medical device. ANSI/AAMI/IEC standards compliant. Authorized by DOT (Department of Transportation)/United Nations of Tests and Criteria. Full indemnification protection for harm or loss when used by the public. Complete AED warranty coverage (these batteries do not void your AED warranty) when using our battery packs. To purchase “Re-Cell” or recycled batteries (that are much more affordable) you must send us an expired battery. Why do we Recycle or “Re-cell” the AED batteries? AED batteries contain toxic, ignitable, and reactive hazardous waste that must be disposed of properly. Just the battery housing that is dumped into U.S. landfills every year is equal to 2.3 million water bottles in volume. Eliminate 200 tons of hazardous waste in landfills created annually by lithium AED battery packs. Life saving AED devices should not kill the environment. GO GREEN. GET RECYCLING NOW! Call us at 888-473-1777 to verify if your batteries can be recycled or if you get money back. SEND US YOUR EXPIRED BATTERY & YOU MAY GET UP TO $15.00 per battery! Please complete the following form with information regarding the EXPIRED AED batteries you are returning. A customer representative will contact you with instructions and payment details. Or, call us at 888-473-1777 or email us! This entry was posted on Wednesday, April 9th, 2014 at 3:22 pm and is filed under Automated External Defibrillator (AED) News, Standards & Regulations, Think Safe. You can follow any responses to this entry through the RSS 2.0 feed. You can leave a response, or trackback from your own site.